For decay that is more extensive, a filing may be insufficient to adequately repair the tooth. As a result, a more comprehensive restoration may be needed, such as an inlay or onlay. Unlike bonded fillings, which are bonded directly to the tooth, porcelain inlays / onlays are made in the dental laboratory. 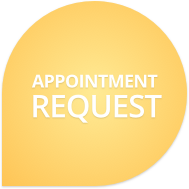 Inlays and onlays require two appointments to place. Inlays and onlays not only repair the damaged tooth but also strengthen its structure and protect it from damage. For this reason, these dental restorations are a great choice for repairing weak back molars or teeth that have been poorly restored. Although porcelain inlays and onlays sound similar, there are some minor differences between them. An inlay treats the inner cusps of a tooth while an onlay treats one or more of the tooth’s cusps and covers a wider surface area. For this reason, onlays are sometimes also called a partial crown. Inlays and onlays provide more protection than a filling but cost less to place than a full dental crown. Similar to crowns, inlays and onlays can be made of gold alloy, composite resin, and porcelain. Although gold provides more protection, porcelain crowns offer a perfect combination of beauty and strength. This is because the porcelain material is tooth-colored which allows the restoration to blend in with your other teeth. After the damaged portion of a tooth has been removed, an impression is made of the tooth which will be used to create the dental restoration. While you are waiting for your restoration, a temporary one will be placed on the exposed tooth to protect it. Once the final restoration is ready for placement, Dr. Sniscak, family dentist in Belmar, will remove the temporary one and attach the permanent inlay/onlay to restore your smile. Contact Smiles By The Sea at 732-681-2225 to set up an appointment.